Far in the past of this blog I would talk about "World of Warcraft" as I was an avid player of the game. Sometime after trying out the expansion "Cataclysm" however I found myself tired of the series, and quit. I still don't have a particularly strong urge to go back to "WOW", but have found a new obsession that utilizes some characters and concepts from the title to create an incredibly addictive digital card game. Yes, I'm talking about "Hearthstone". 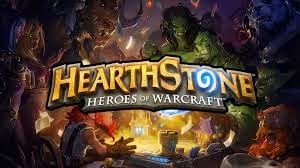 Currently available on both computer and iPad, "Hearthstone" could best be described as a simpler version of "Magic: The Gathering"--at least that is what some people have told me as I've never actually played "Magic". Also, while its set in the world of "WOW" you don't need to have played it to understand the game, you just might get some references if you have tried "WOW" before. Basically, players have a deck of cards they've created, and takes turns drawing these cards, either casting spells that could help them (or hinder their opponent) along with laying down "minion" cards that can attack other minions or the main opponent. The goal is to get your opponent's health down to zero at which point you win the match. It sounds simple and that's because it actually isn't too tricky to learn if you put a little time into it, but when it comes to fully understanding all the cards and how to create the best deck possible, be prepared to spend hours playing matches and tweaking your deck. One wonderful thing about "Hearthstone" is that it is free-to-play, and by that I mean truly free-to-play. You could never spend any real money on the title, only using the standard cards that come with various characters or which they unlock, along with using gold you earn in quests to play in the "Arena" and win more card packs to expand your collection. If you want to have a ton of cards to choose from early on, you can of course lay down some scratch and enjoy seeing what cards you get in various packs, but it is by no means mandatory to gain enjoyment from the game--with many players actually showing on various websites how their totally "free-to-play" decks can decimate people who may have shelled out money and gotten some powerful cards. One reason "Hearthstone" is so fun regardless of if you spend money or not is that the developer behind it (Activison-Blizzard) works to keep everything balanced, but still have a challenge be provided to players. Plus, its also fun because nothing beats the excitement of playing a match against someone else, not doing the best, but then suddenly everything seems to go your way and you win thanks to a mixture of luck and your skill. 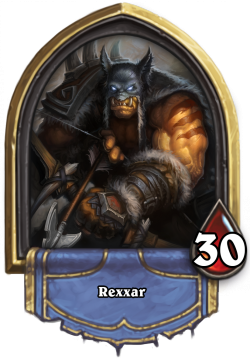 A lot of internet-chatter has involved the hunter character in "Hearthstone". Namely, if some of his cards are too powerful. 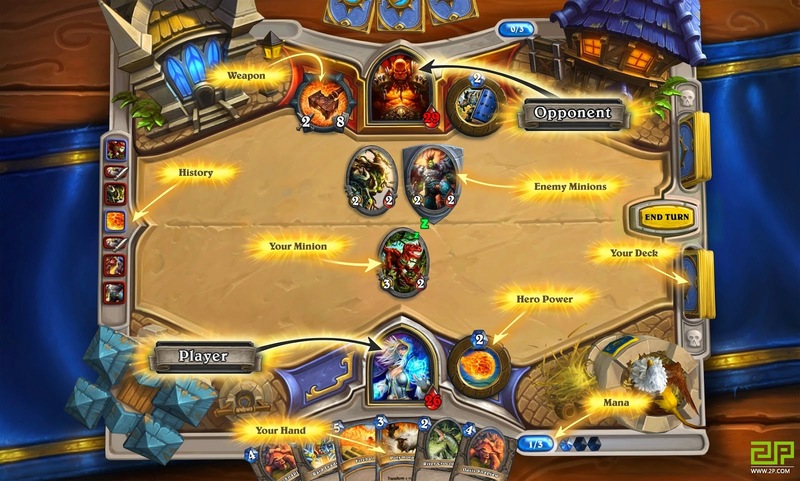 "Hearthstone" is also enjoyable because it is very sociable. While in the matches you may be limited to a few set phrases (unless you add the person as a friend, at which point you can chat freely), but outside of the game itself people are always discussing the "meta-game" online--by which I mean folk chatting about the best decks, their favorite characters to play as, and all that. Getting to show-off your deck on a website and hearing other folks' thoughts is always neat, and can help you to become a better player. I didn't realize some of the tricks I could do with my cards until I read various pieces of great advice, and seeing such an active community for the game is just great. P.S. If you play "Hearthstone" and want to add me as a chum you can find me on there as "Chitters#1783".